and dreamy music under White Poppy. Crystal Dorval is one seriously well-rounded lady. I first did some investigating on the Vancouver-based artist after hearing the haunting yet incredible music of her most recent project, White Poppy, on the blog yvynyl. After doing a little research, I discovered she had also previously made music under the name My Friend Wallis, whose sunny tunes were a constant presence on my playlists during the fall of 2010. 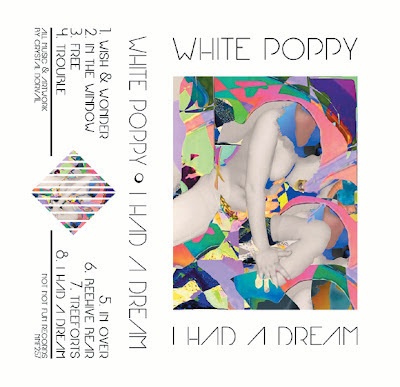 I was already impressed that the girl who could make sweet pop music was also creating the strange, almost shoegaze-y sound of White Poppy. 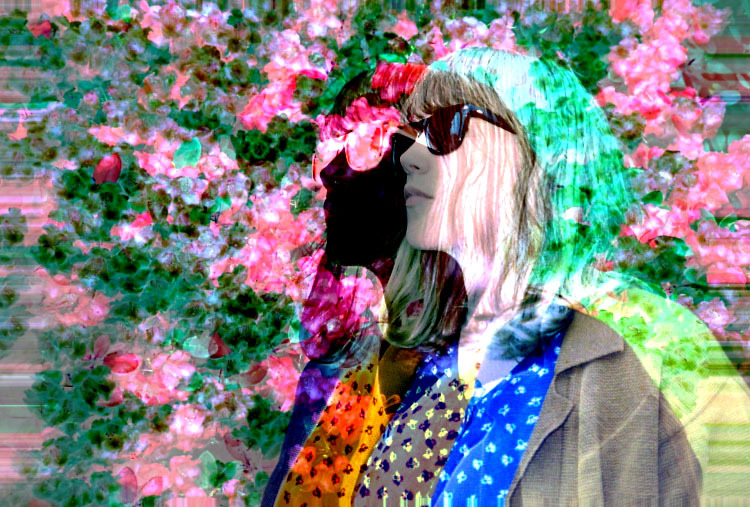 Beyond being a versatile musician, Crystal is also an artist and makes beautiful and psychedelic photos and collages that can be viewed here. After writing that paragraph I pose you with this question: why aren't more people paying attention her? Although I love all of her work, something about her most recent tape, “I Had a Dream”, which was released on Not Not Fun records, is especially compelling. The tone for the album is set with the opening track, "Wish and Wonder", where her voice seems to float over the hazy layers of drum beat and guitar. The rest of the eight song album blends together in an equally lush and complex fashion. It's apparent on this tape that Crystal has a talent of manipulating sound. On the title track, she drowns out her own vocals to give emphasis to the synths that seem to flow into your ears. On Crystal's website, she describes her sound as, "hypnosis, escapism, meditation, healing, paradise, introspection, brain vacation, dreams", and I couldn't have said it better myself. She excels at creating what could be described as drone music and making it accessible and beautiful. My personal favorite on the tape is "Tree Forts", which is the most danceable of the tracks with its hopping backing beat that makes me think of a late night parties in dark rooms. Another one of Crystal’s strongest suits is pairing her music with an aesthetic. The art that fills up the top of her portfolio page is made up of slightly spooky images with rainbow colors splayed over them. The images go hand in hand with the sound she's projecting on the "I Had a Dream" cassette. It's overwhelmingly inspiring to observe the enormity of Crystal's creative output. I'm more than excited to see what she puts out next and hopefully what her live performance is like. I Had a Dream is currently available by download or by tape, which you can find on White Poppy's bandcamp.